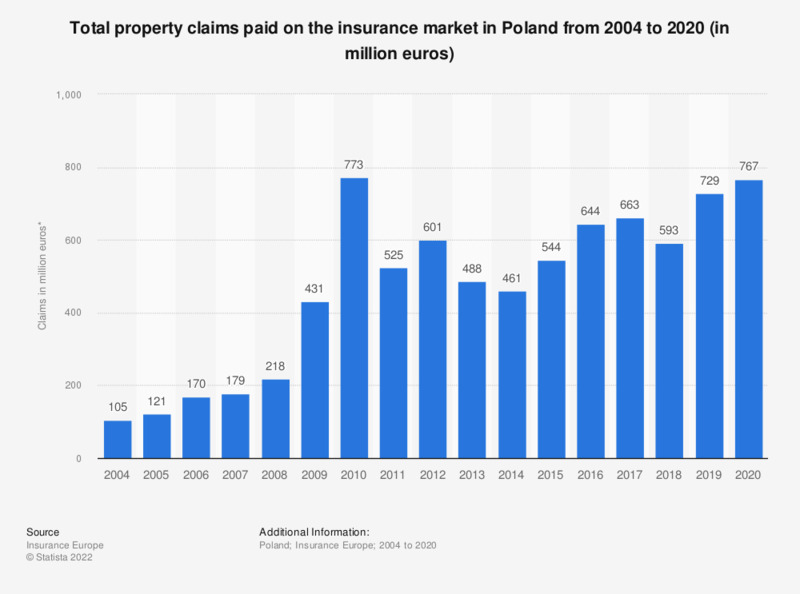 The statistic shows the total value of property claims paid on the insurance market in Poland from 2004 to 2017. The claims payments were the highest in 2010 when approximately 773 million euros worth of insurance claims on property were paid out by the insurers in Poland. In 2017, the total worth of property claims payments amounted to approximately 663 million euros.